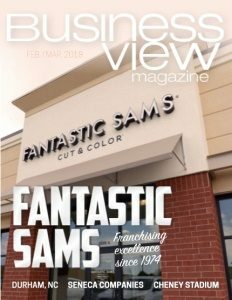 Business View Magazine interviews Matthew Achak, Co-Founder of FCR, as part of our focus on best practices of American businesses. A contact center, call center, or customer interaction center, is an integrated and sometimes automated, communications system leveraging live agents, which coordinates phone and other omnichannel, electronic contacts such as email, instant messaging, web chat, text to chat, social media, etc., between an organization, or company, and their end users or customers. While some institutions maintain their contact centers in-house, a vast number of domestic and international companies prefer to outsource these tasks to service providers, both domestically and internationally. Over the last decade or so, many of these service providers have placed facilities in various non-U.S. locations, such as India, the Philippines, Canada, throughout Europe, as well as across Central and South America. Contact center agents may handle a high volume of customer service interactions on any given day, making efficiency a challenge. Many contact centers place a greater emphasis on first call, or first contact, resolution, with the goal that agents do all they can to resolve cases on the first touch so an individual is not forced to call in again. The trouble is that, all too often, the quality of the customer experience is jeopardized when service is rushed, quality is compromised, or the interaction is not handled thoroughly. Various studies have shown that customers often feel frustrated with the quality of their interactions with customer service representatives, citing such concerns as agents lacking sufficient knowledge of the subject, being placed on hold for too long, and repeated requests for the same information. Some of these problems can be attributed to either offshore contact centers with different cultural conditions, or large, domestic centers with undertrained or poorly motivated support agents. 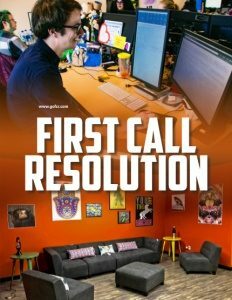 FCR, or First Call Resolution, is an Oregon-based provider of outsourced, live agent, contact center and business process solutions, with the majority of its current call center operations located in the Pacific Northwest. FCR offers its customers the highest possible quality services, with none of the problems endemic to many of today’s overseas and/or large call and contact center locations. It serves the high-tech, internet, e-retail, telecom, healthcare, finance, travel, transportation, insurance, and other various sectors of the “new economy,” and its specialty is creatively working alongside its clients’ existing operations and support desks, helping to fill in gaps in their sales and back office services. Recently, Business View Magazine spoke with Matthew Achak, Co-Founder of FCR. Achak has been involved in the outsourcing industry in some form or another for almost 20 years. 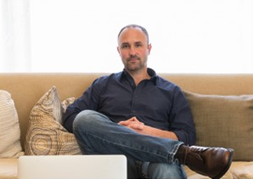 Before co-founding FCR, he was the Director of Sales for a $4 billion multinational provider, and prior to that he was the Executive Vice President of Sales for a mid-sized, domestic-based outsourcer. The following is an edited transcript of the conversation. BVM: Can you talk a little about the genesis of FCR and the early days of the company? Achak: “FCR was started in 2005 by my partner, John Stadter, and me. He and I had a history, already, together; we had worked for another outsourcer, called 800 Support and, in many ways, the DNA of that company was built into FCR. The overall, overarching methodology and philosophy was to find small towns in the Northwest, towns that maybe had seen better days, towns like Roseburg, Coos Bay, Veneta, Independence, and Great Falls, where the work that we were targeting could be brought back from overseas to these small towns. “The concept was to pay better wages, provide health benefits, a much better working environment and more fulfilling work, allowing our people to build careers, thus bringing real opportunity to towns where none had previously existed. Many of these towns have been almost forgotten. They have renewable industries that have stopped renewing, such as mining, farming, fishing, and timber. John and I started with one town in 2005 – Roseburg. That was going to be our test scenario to see if we could convince companies, which at the time were moving a lot of work overseas, to bring that work back to the U.S.
BVM: Any other aspects of FCR’s overriding philosophy? Achak: “It was really built around colleague retention. We wanted to measure our colleagues’ retention in years, not months, as most outsourcers do. You see, in our industry retention is the biggest challenge most outsourcers face. 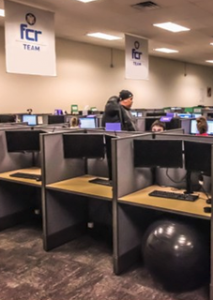 If you build a large call center in a place like Phoenix or Las Vegas or Denver, people are going to turn over regularly because everyone competes for the same labor and thus agents will jump from company to company quite readily. But, what if you built a model where people were encouraged to, and incented to, stay a long time. A place where you paid raises, and provided health benefits with a better, healthier, more inclusive environment to work in. Would they stay a long time? That was the idea and we built from there. “Roseburg was our first site. Then, we expanded and expanded. We opened up Grants Pass, and we really seemed to strike a chord with many of these companies in the “disruptor space,” companies that are always looking to push the envelope on how business is conducted. These organizations move quickly and need a savvy support team that is capable of moving fast, thinking on their feet, and adapting to new trends in service and support as they evolve. “After Grants Pass, we opened up our Coos Bay site on the coast of Oregon. As Coos Bay expanded, our business really started to take off, so we opened up our Veneta, Oregon site, followed shortly thereafter by our Eugene base camp – our headquarters site. Following that we opened up our Independence site. And then, just last year, we opened up our first out-of-Oregon site in Great Falls, Montana. And that site is really starting to fill up; we believe Montana is, in many ways, a cultural and demographic twin to Oregon. “Finally we just announced our first near-shore location in Tijuana, Mexico, which is going to help service the growing Spanish support need that many of our clients have been asking for. We have already begun moving forward and expect to officially open that site for business in early April. BVM: So, how many employees do you have and how many clients do you currently service? BVM: How did you build your client portfolio? BVM: Is there a typical FCR client? BVM: Is that what makes FCR different from the competition? BVM: So, your model is to offer individual people long-term employment opportunities in areas of the country where employment of this sort is a good fit? BVM: But what is the value proposition to your clients? They don’t care about who you hire and what you pay them; they only care about what you can do for them. BVM: So, you don’t compete on price? BVM: Has anything happed recently, or planned for the near future, that will impact the way you do things or that you would want our readers to know about? BVM: Where do you see your company positioned several years up the road? Check out this handpicked feature on Specialized Digital Assistants and Bots Expected to Generate Over $600 Billion in Revenue by 2020.